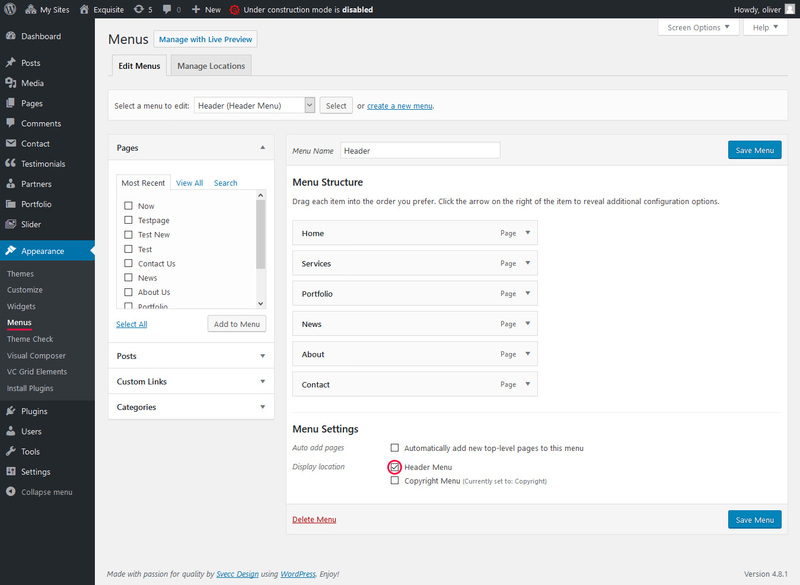 In the header you can display your menu by check the Header Menu checkbox in the Appearance > Menus Menu Settings section. You can also display widgets by navigating to the Appearance > Widgets menu and drag the widgets into the Header Widget Area but keep in mind you can only add Social Link, Contact Info, Language Selector (WPML) and Text, other widgets won’t show up as well as widget titles. 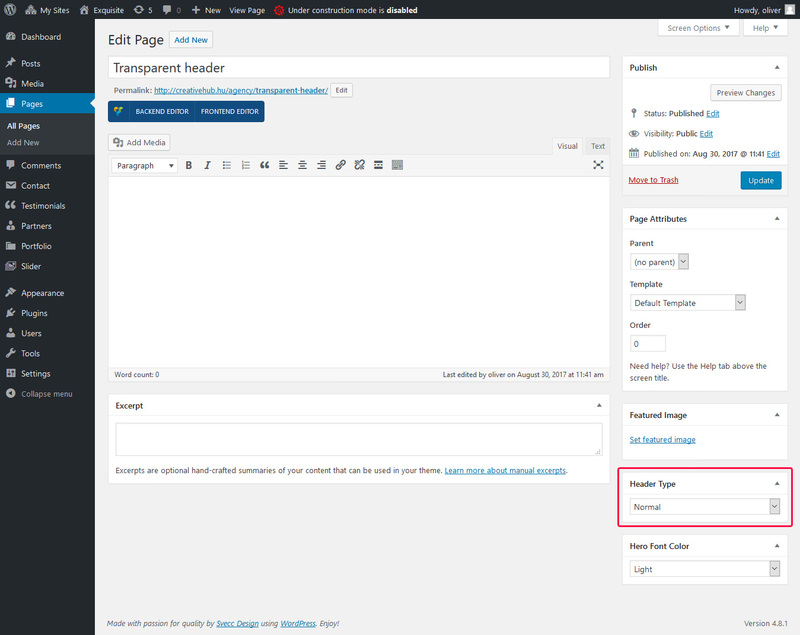 You can change the header appearance, style, color, etc. with customiser by navigating to Appearance > Customize. 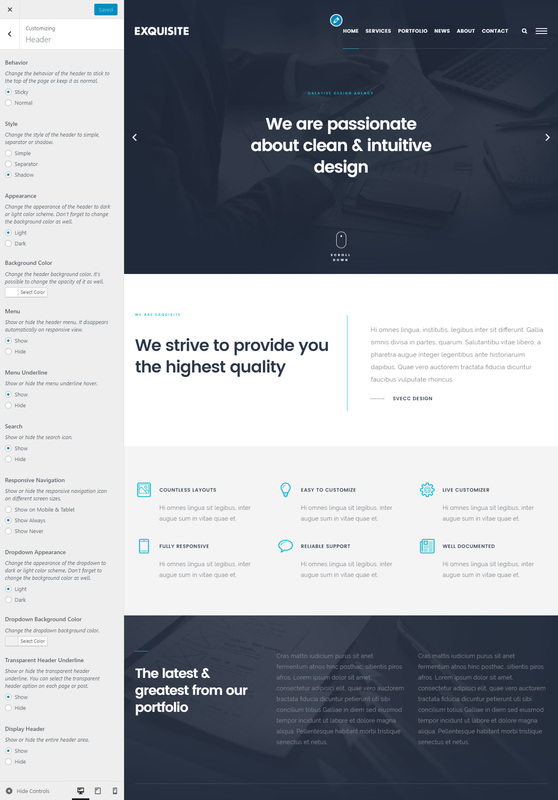 You can make your header transparent in every Page, Post or Portfolio page on the left side under Header Type.